Albany, NY – January 8, 2016, Blasch Precision Ceramics, Inc., an Albany-based ceramic technology manufacturer, announces two important promotions within their engineering group. Dave Bacchi has been promoted to the new role of Senior Principal Engineer. In this role, Dave is now responsible for planning our major engineering projects, both internal and external, and will be tasked with ensuring timely and cost-effective comprehensive completion to our challenging technical projects. In the role of Senior Principal Engineer, Dave will be counted on to continue to provide leadership in all aspects of our engineering initiatives, including project engineering and management, tool and equipment design, plant engineering and capital budgeting, and customer application engineering and problem solving. 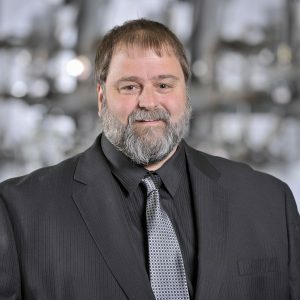 “Blasch has counted on Dave’s technical skillset for over 20 years, and this important new position translates to dedicated capacity to ensure that the company will grow and meet its technical challenges in a controlled manner,” commented Jack Parrish, Blasch Precision Ceramics President and COO. William Russell has been promoted to the role of Engineering Manager. In this role, William is responsible for managing our Design and Tooling group, as well as our Applications Engineering projects; he will also continue to contribute to critical process improvement programs, and other important customer programs. 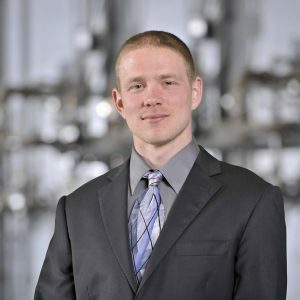 Will joined Blasch in 2010 as a Mechanical Design Engineer and immediately began contributing to Blasch’s success with new technologies, authoring patent applications and delivering technical presentations at strategically important conferences to industry leaders. “Will has the unique ability to solve complex problems by blending technical expertise with pragmatic thinking, working tirelessly to bring projects to a positive conclusion, skills that he will leverage as Engineering Manager,” stated Mr. Parrish.